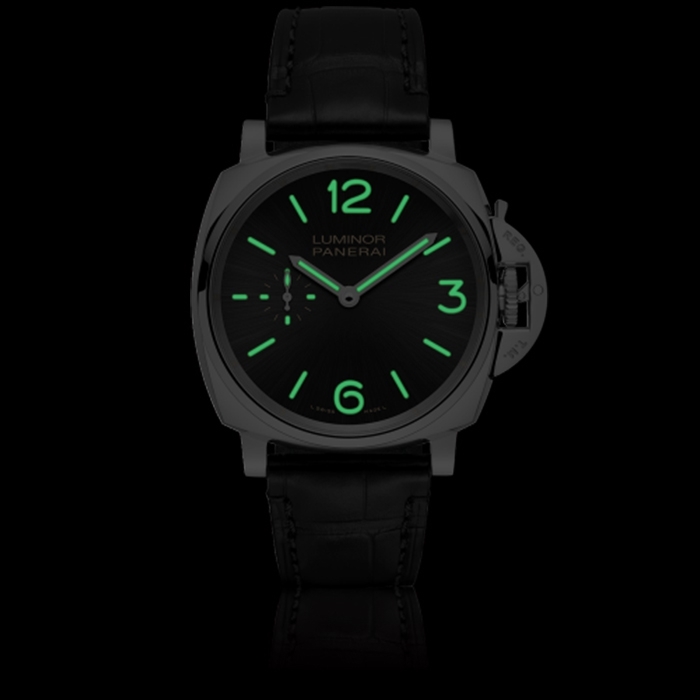 Panerai | 7'900 € Tax inc.
"The lines of the Luminor Due are inspired by the Luminor 1950 case, which represents the culmination of the Panerai creations. All the elements originate directly from the history of the brand and they have all been subtly redesigned to emphasise the versatility of a watch which is a synthesis of the sporting spirit and the ability to wear it for more elegant and special occasions." 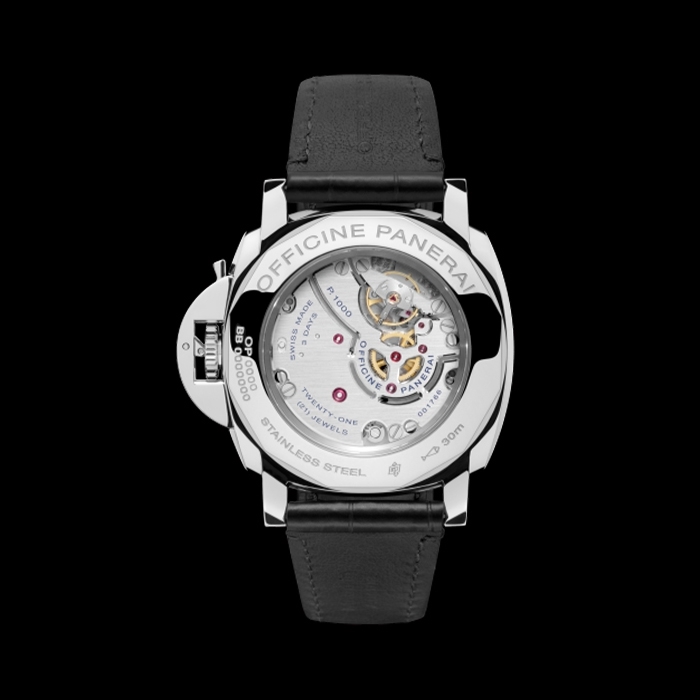 "AISI 316L 1.4435 stainless steel is Officine Panerai’s material par excellence since it is highly resistant to corrosion and is hypoallergenic, making it ideal for contact with the skin. The Panerai watches created for the Italian Navy were made of austenitic stainless steel, a reliable material that was also resistant to the extreme environmental conditions in which the commandos operated." The P.1000 is a new in-house hand-wound calibre with a power reserve of three days. The movement has the fundamental functions – hours, minutes and the seconds counter at 9 o’clock – and it is 12 lignes (26.8 mm) in diameter with an overall thickness of 3.85 mm. Consisting of 152 components and with 21 jewels, the P.1000 calibre is solid, strong and reliable, and it is immediately recognisable as a Panerai calibre from both the technical and aesthetic points of view. To ensure maximum security and stability, the balance is held by a bridge with two supports, fixed by screws with threaded rings for micrometer adjustment of the height. The oscillation frequency is 4 Hz (28,800 vibrations per hour). 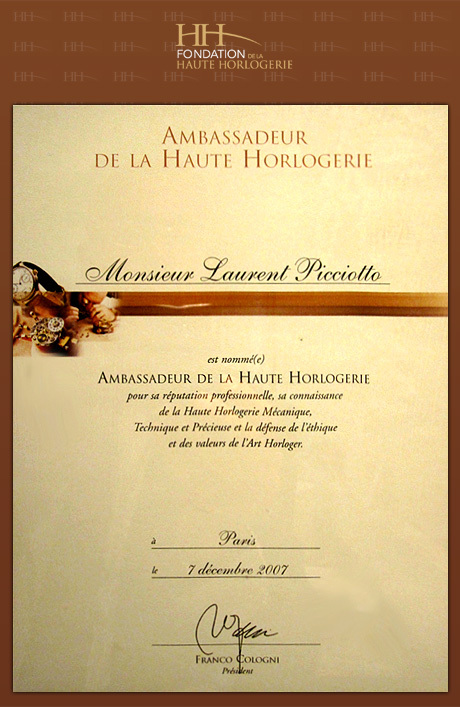 With the small seconds dial at 9 o’clock – another of the distinctive characteristics of many contemporary Panerai watches, directly descended from the historic models – the new movement also contains the device which stops the balance and zeroes the seconds hand (seconds reset) when setting the time, for perfect synchronization of the watch with the reference signal. - Small seconds at 9 o'clock. - « 3 bar (~30 metres)"